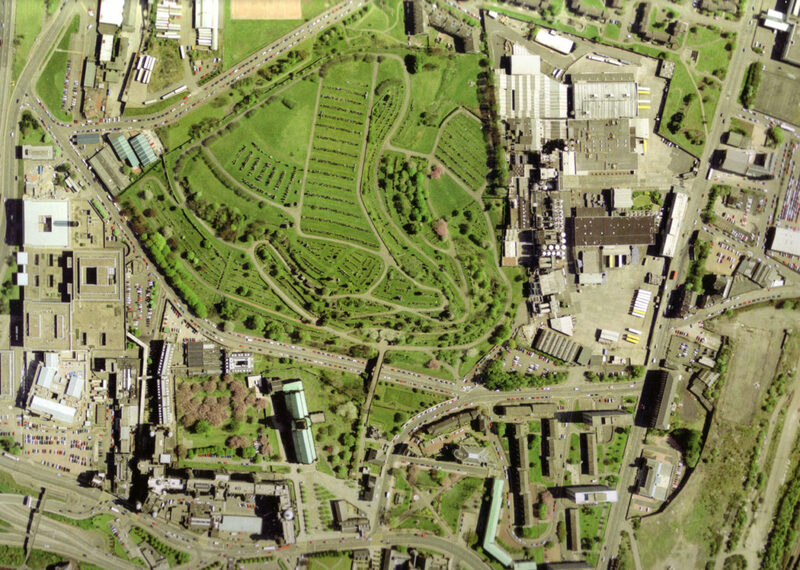 The Glasgow Necropolis is a landmark cemetery, established in 1832, within central Glasgow. 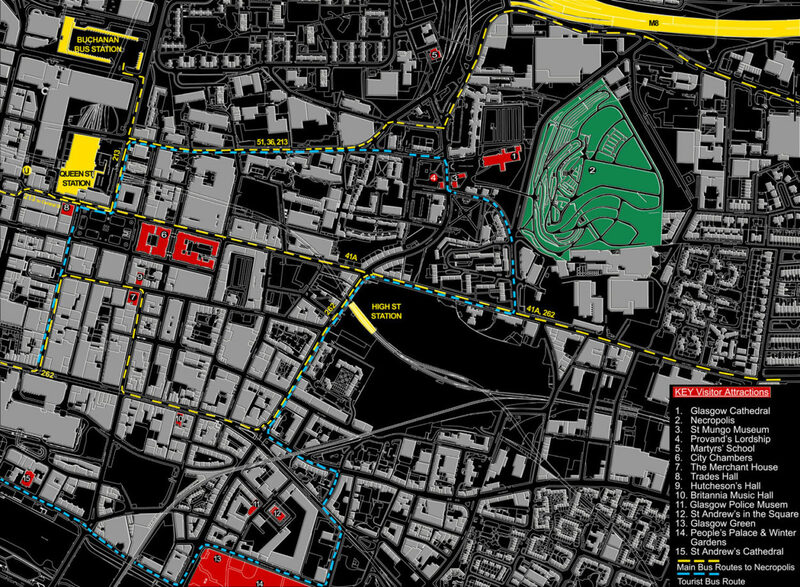 It sits on a prominent rocky promontory high above the city centre less than a mile from Glasgow’s civic centre, George Square. The site embodies both spectacular and everyday qualities. 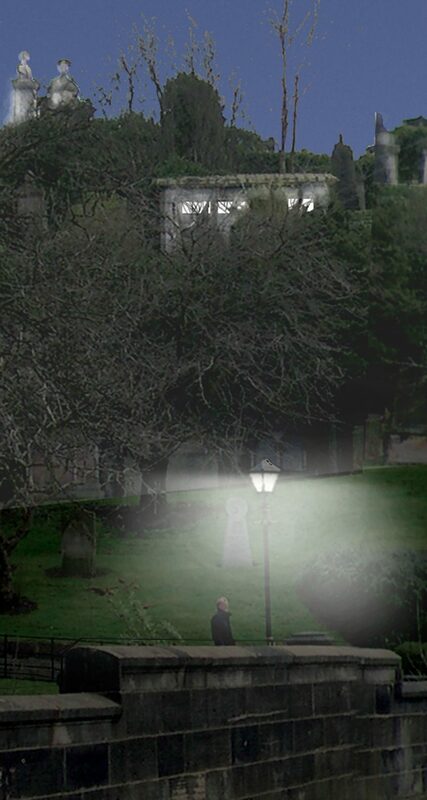 Its distinctive skyline is visible during daylight hours from many locations around Glasgow and can be seen whilst waiting for a bus to work or visiting the Cathedral and its environs. 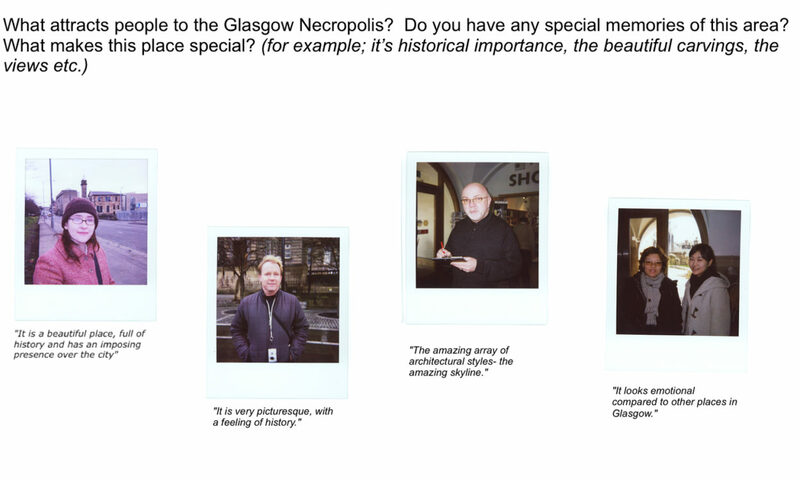 Collective Architecture were commissioned by Glasgow City Council Land Services Department, in association with Friends of the Necropolis, to undertake an Options Appraisal Study to investigate lighting, way-finding, security, restoration and access improvements for Glasgow Necropolis. 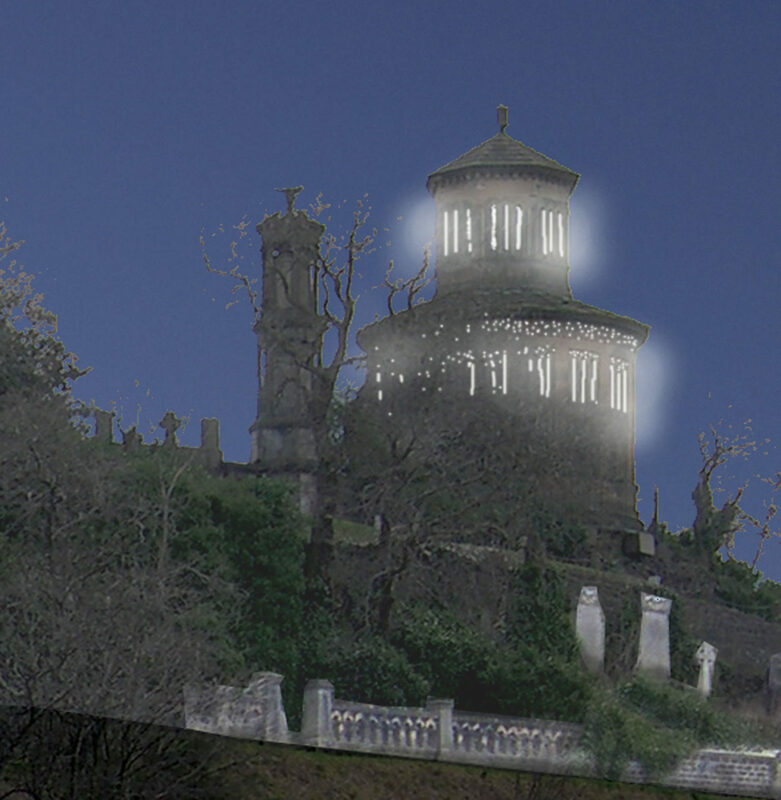 This study investigated how the Necropolis might best be developed to enhance its existing qualities and to allow it to be of greater benefit to a wide variety of communities, ranging from city centre residents and workers, to visitors and tourists. 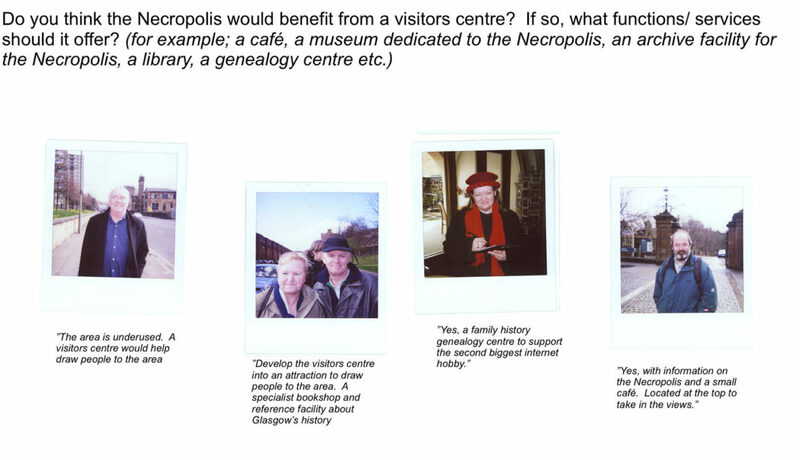 Options appraisals included proposals for new visitor buildings, access gateways, burial provision in the form of columbarium and innovative lighting proposals. 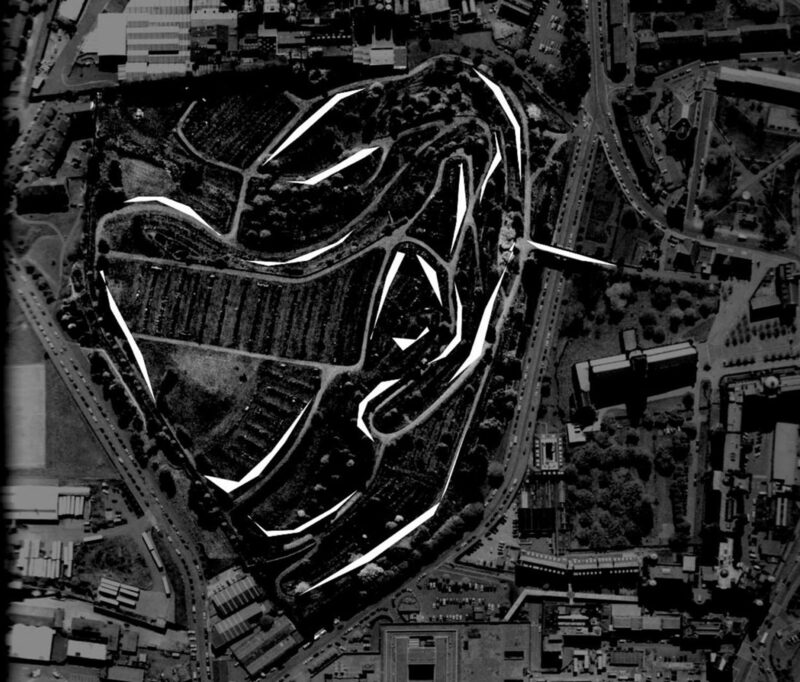 Information was gathered via a series of involved local street workshops at key points around the site and the proposals were developed with the client and Design Team during intensive workshops events.